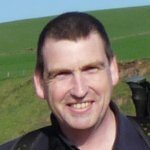 This walk report was first published on the Swale Way website. 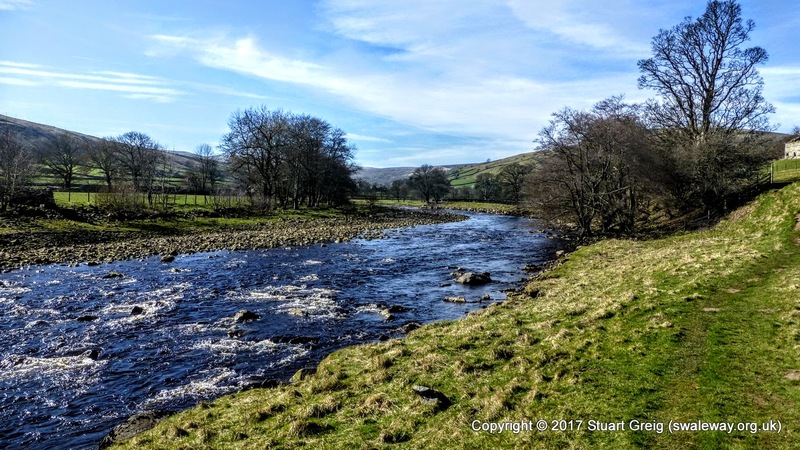 If you’ve already walked Wainwright’s legendary Coast to Coast path, from one side of England to the other, you could be forgiven for thinking the Swale Way is something you’ve already mostly done. 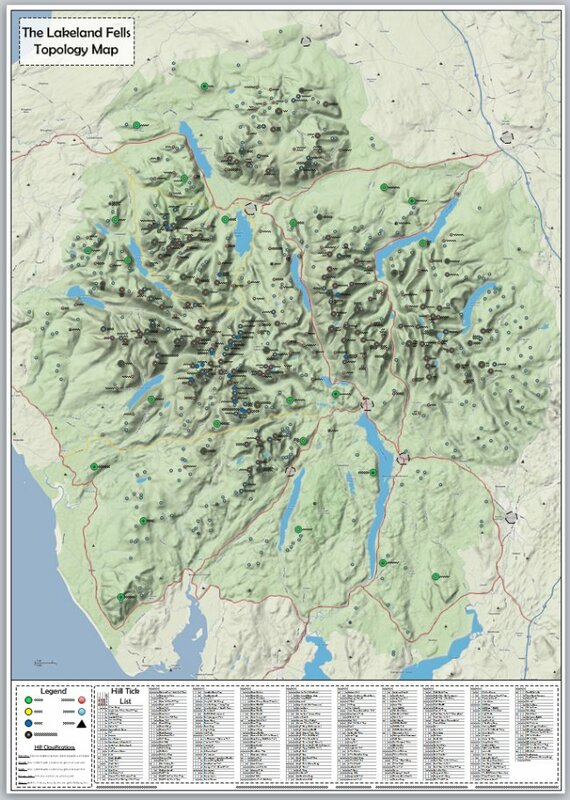 Admittedly the C2C and the Swale Way both follow the Swale between Kirkby Stephen and Richmond, albeit in different directions, but that’s pretty much where the similarity stops. The Swale Way shares very few of same paths as the C2C between those two towns, something I think the original designer of the walk made a conscious effort to achieve. 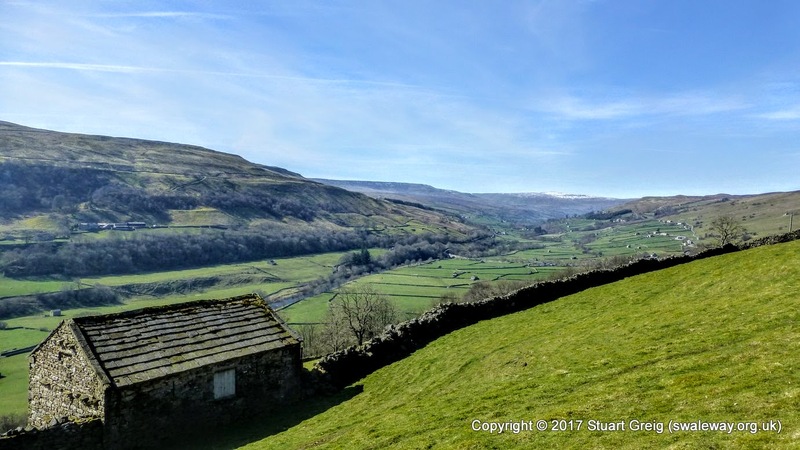 As such, walking between Reeth and Keld was again, something of a pleasant surprise for me. I can’t remember how many times I’ve walked between these two villages, not only on the C2C but also as part of the Herriot Way (another of my guide books). 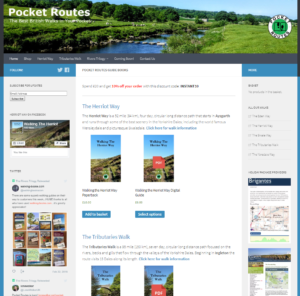 It’s great to find out that the Swale Way manages to explore new ground, seek out new paths and new settlements, boldly go… oh, no hang on that’s already been used. I used the Little White Bus again, this time in reverse. 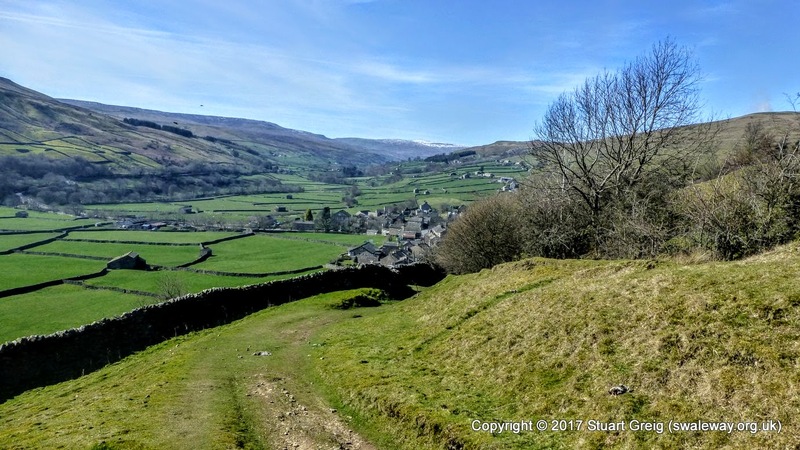 In the winter months the schedule is reduced and although you can request the early pickup in Keld, it wasn’t available to me this weekend, so I parked in Reeth and walked to Keld, hoping to get there in time for the late pickup. I made it in plenty of time. I headed down to the Swing Bridge, which I’ve admired many times in the past, but never had an excuse to use. I bounced across it and turned right along the very pleasant green path beside the river. The weather today was exceptional, bright sunshine, blue skies and very little wind – perfect walking weather. The path on this side of the river is quite different to that on the other – it’s used, but nothing like as much and the views, of course are quite different. I got a completely different perspective on Calver Hill, sitting huge behind Healaugh. A short section of quiet country lane brought me to a difficult choice. Selecting the best route between two points is often simple and obvious, other times not so much. 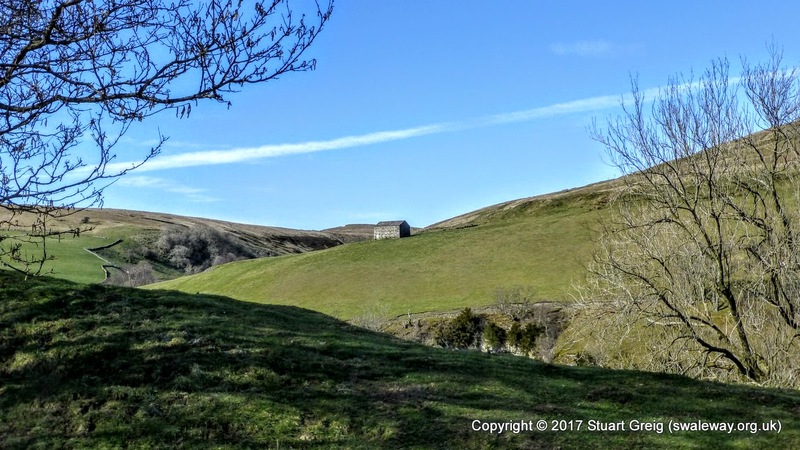 Between the Low Row Bunkhouse at Low Whita and the buildings at Low Houses, two possible path options were open to me. One offered potentially better views, across green pastures but involves 24 field boundaries (using pinch stiles, gates and ladder stiles) the other was a stony lane, lower down, but free from obstacles. I decided to test the lane and see how ‘bad’ it was. As it turns out Low Lane is just fine. It offers fine views across the river, it’s surface is mostly good and I decided this was a better choice than squeezing through a couple of dozen narrow gates. When you walk this section, feel free to try the upper path across the fields and send me your thoughts. 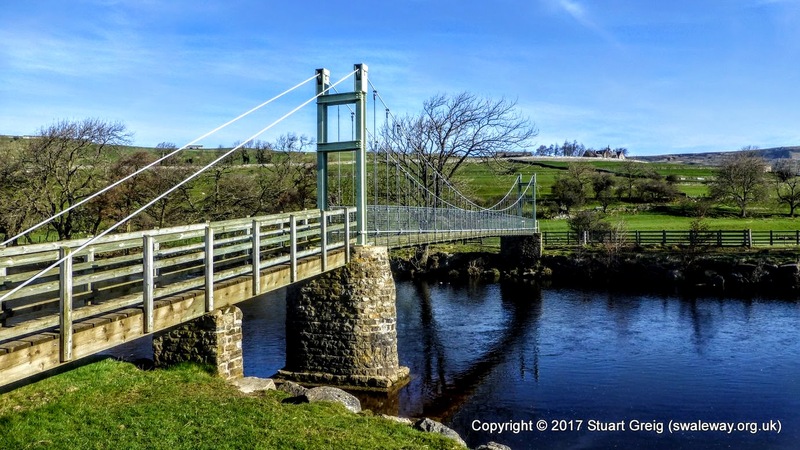 Across the valley now, using the wonderful Isles Bridge and up to Smarber Chapel, Rowleth Wood and the path that skirts the lower slopes of Brownsey Moor to reach Gunnerside. As with the previous section of the walk, I arrived in perfect time for the opening of the pub. I took my drink across to the little village green and sat in the sun, chatting to other walkers out enjoying the glorious weather. 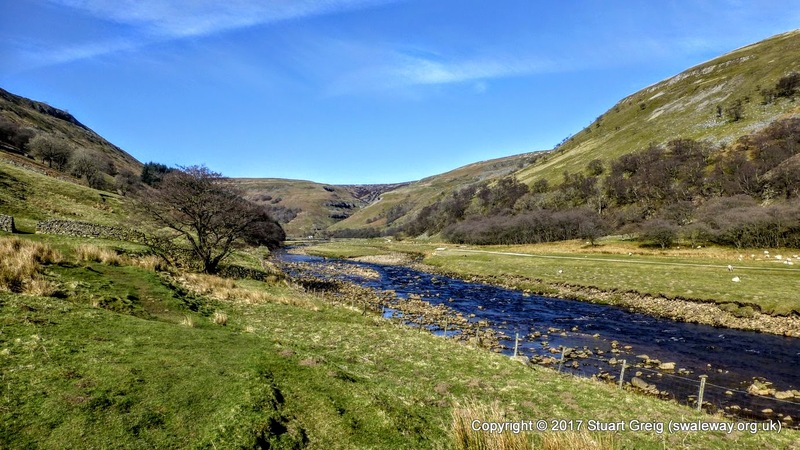 Beyond Gunnerside is one of the spectacles of the walk, the section through Kisdon Gorge at the very head of Swaledale. 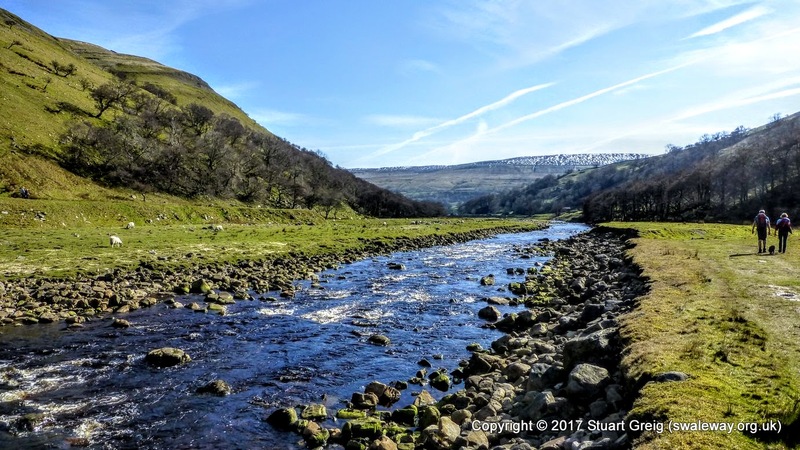 We follow the river closely and progress up this glacial valley, with steep hills on either side. The views on a day like today are exceptional, in the height of summer you have the added benefit of the hay meadows in full bloom. 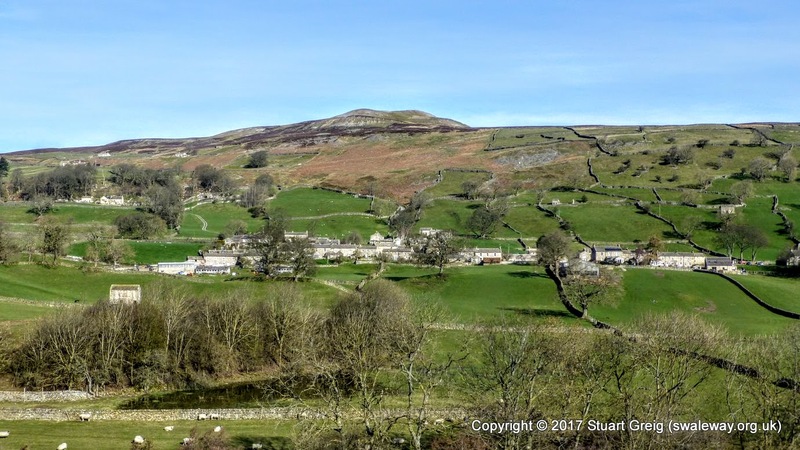 It was busy today, there’s a lovely circular walk from Muker, to Keld and back that uses the valley for one leg and the path over Kisdon Hill (on the left) for the other. I lingered along this section; I was ahead of schedule and there was plenty of time before the bus arrived. I stopped where ever I found a suitable seat in the sun and relaxed, listening to the birds and the sound of the river hurrying on its way to meet the Ure. 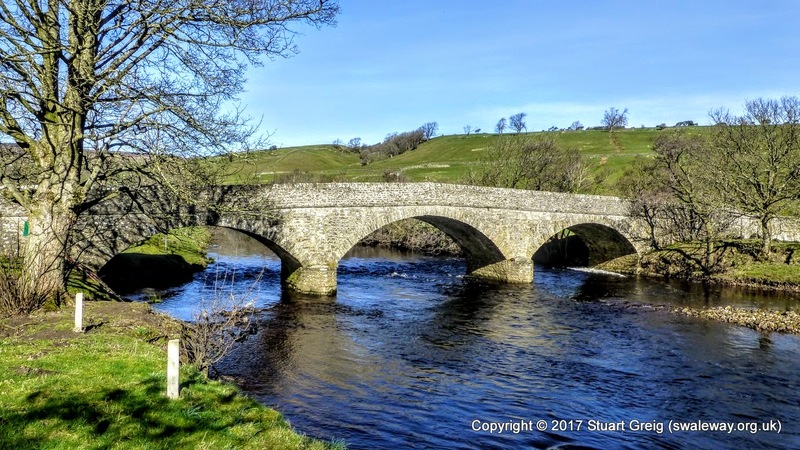 I caught the bus back to Reeth, joined by other walkers along the various stops, finishing their own walks and heading back to Richmond. Hopefully the photographs give an idea of how lovely this section of the walk is. There’s a larger gallery available here: Section 5 Gallery.